Raised by Christine & Steve and Heidi & Chase. Heidi has adopted Whisk. Raised by Craig & Kim and family, adopted to a wonderful home. Raised and adopted by Vicky & John. The three of them will have some great camping adventures! Raised and adopted by Laura & Cody. She's happy being a part of this family! Raised and adopted by Jeanne. Fender is now certified as a Therapy Dog and loves his new job! Raised by Kim & Craig Kunzel and Family. Adopted to a wonderful home. Raised by Montse & Gabriella. 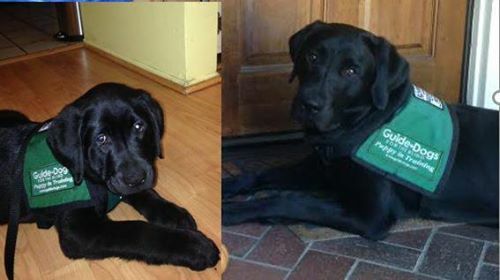 Trinidad decided that Guide Dog work wasn't for him and that he would much rather be at home with his family and friends. Raised by Laura & Cody and Dawn & Roger. Cody's parents adopted her so everyone is happy! Raised by Suzanna & Steve. His raisers adopted him and he is now an approved Therapy Dog with Pet Partners! Raised by Heidi, Catherine & Chase. She was placed in GDB's adoption program and will be place with a wonderful home. Glitter, however sweet, did not have the disposition to be a service dog and was career changed. 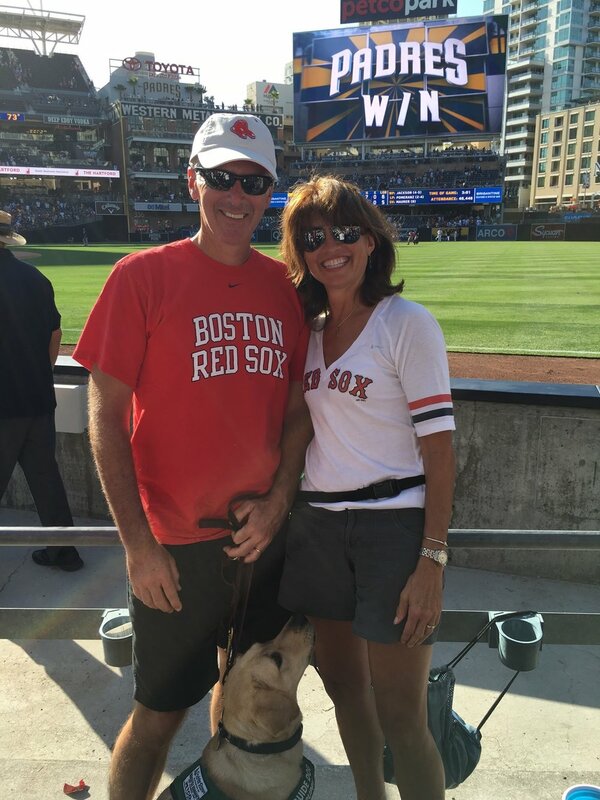 She was placed in GDB's adoption program and now is in a good place..
Phillip continues to live in sunny Orange County which suits his disposition and raiser, Jeanne just fine! He is a very good boy attracting attention and admirers wherever he goes. Our club looks forward to seeing him from time to time. Scholar successfully went through all 8 phases of formal training so it is reasonable that if you attend a GDB event here in Orange County you might see Scholar in harness demonstrating what he knows with our CFR, Rick Wilcox. Our club is extremely happy to welcome him back into the arms of his puppy raising family, the Kim & Craig who is raising their second puppy. The Raisers welcomed Royal back into there family in September 2016 excited about the prospect of working toward Royal becoming an Ambassador for GDB as well continuing to be a part of OC Coastal Puppy Raisers. Raised by Katherine & Stephanie, Alice was career changed and is back with the Family enjoying a very busy family life. Raised by Jeanne. 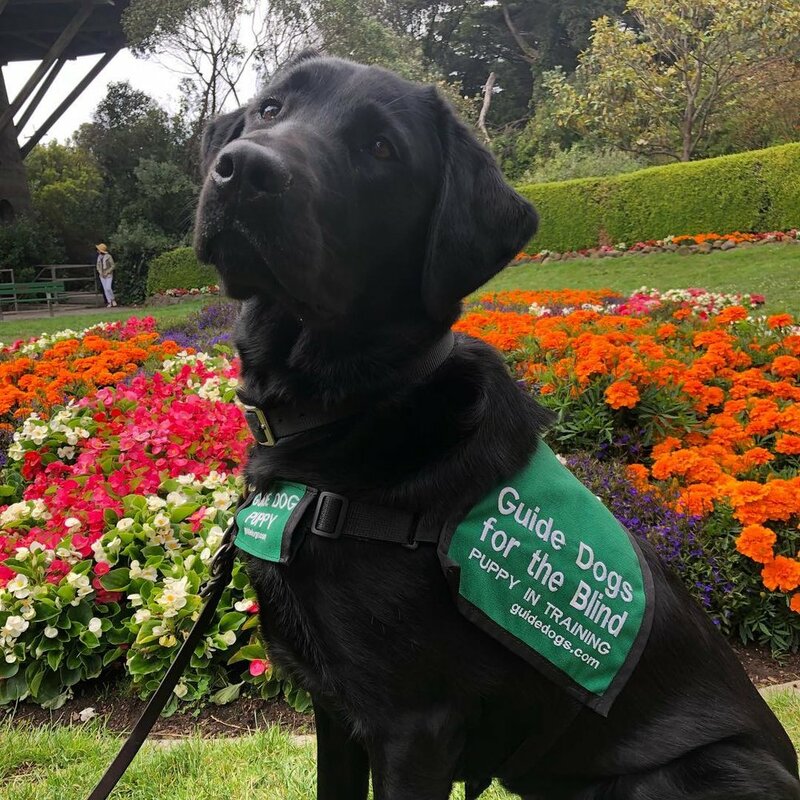 Elm is now living back with Jeanne mentoring puppies in training and acting as ambassador for Guide Dogs for the Blind. Elm is also a certified therapy dog with OC Service Dogs. Fisher now Sam is having fun living with his adopted family. Raised by April. Fletcher is enjoying his life as a pet and a mentor for Guide Dogs for the Blind puppies being raised in his new home. Raised by Tricia & Elliott. 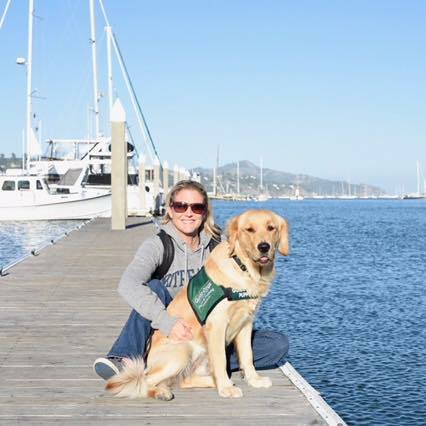 Hatcher is a working service dog for Dogs 4 Diabetics in Northern California.